Matt ’s varied career has included journalism, advertising, marketing, multimedia production, writing and production of entertainment programming, qualitative and quantitative research, and health communication. One question unites all these roles: How does communication affect human behavior? 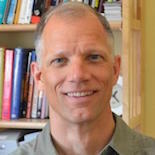 Matt’s approach to behavior change communication involves the use of psycho-social and persuasion theories, mixed-methods research approaches, and campaign measurement. Matt is the owner of Shadow Productions, a multimedia production company, and Shadow Associates in Behavior Change, a research and messaging firm specializing in health behavior change. Matt also teaches research methods, behavior theory, health communication, and advertising at Champlain College.